Who would win in a fight between Ellen Ripley from Aliens and Sarah Connor from Terminator 2? 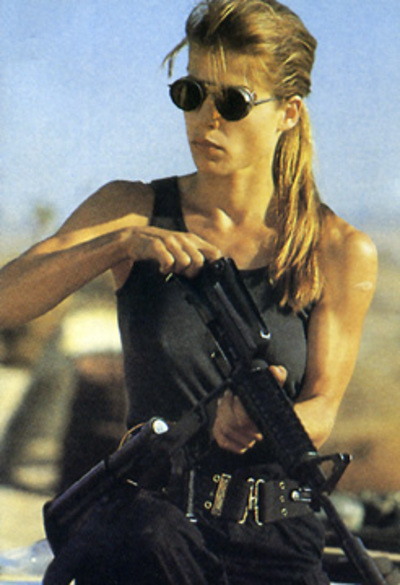 They were both awesome and strong female characters, but I would have to go with Sarah Connor on this one. She's a little more crazy and willing to do whatever needs to be done to ensure things go her way. They would probably be disinclined to fight at all, and if for some reason they were forced into gladiatorial combat by Ming the Merciless I think they would team up, bust out the arena and kill him instead. Seriously, um... Probably Sarah Connor. Ripley has had to fight for her life too but I think Sarah got more of a chance to train (at least after the first movie). And yeah, she's crazier, which in this case would probably help. I've only seen Sarah Connor in action, so I couldn't say. Which movie has the coolest looking aliens? Bright- Will You Watch the Sequel?